So, if what I'm doing with portion control and nutrition isn't a D.I.E.T. ... how on Earth do I plan to maintain this momentum? First off, I focus on what I am choosing to have. By eating clean I have found that I don't feel bloated. I don't get those wild swings in weight from water retention ... even at "that time" (if you know what I mean ladies). I don't have as many crazy sugar cravings. Notice I said as many. My new habits mean I don't hide in the pantry eating sweets or stuff my face as soon as the girls go down to nap. It doesn't mean I'm appalled and sickened at the thought of chocolate. No my friends, I think God knew many of us would have an affinity for this little taste of heaven when He created it. It is a choice. There is nothing I "can't" have; Autumn Calabrese is not in my kitchen with a gun to my head telling me what to eat. I CAN eat whatever I want. These are the choices I'm making. Ah, that's better already isn't it? As soon as you tell yourself you can't have something, what you "can't" is - can't stop thinking about it!! Another way to make this my lifestyle is sometimes I allow myself cheats. This weekend was Valentine's Day, and we had reservations for a wonderful home cooked style dinner which I thoroughly enjoyed. I planned for it. I saved my naughtiest containers. I ate slowly and enjoyed my husband's company and I savored every bite. 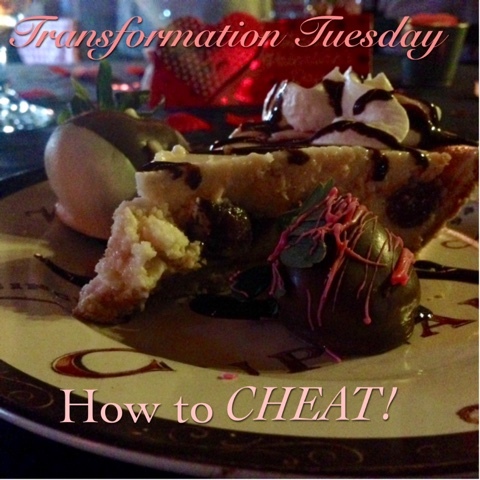 If you plan a cheat and the food is anything less than stellar ... STOP! Put down the fork! If it isn't worth it, don't eat it! Don't let disappointment drive you to eat a cheat that doesn't feel like a cheat. Or to keep cheating because your cheat left you feeling cheated. That's like eating a 3000 calorie salad, then finding out the burger you really wanted would have been less calories. Then you can't stop thinking about that burger you COULD have had. To heck with it, this is where I often threw in the towel. Yikes, let's stay off that crazy train. I've been there too many times. A lot of other coaches have talked about the 80/20 rule ... Eat well 80% of the time and don't worry about that 20%. Or there is a meme out there somewhere ... One bad meal won't make you fat (or wreck your health and fitness goals) any more than one salad won't make you skinny (or one workout won't make you fit). Much like a fast, there are times for dead on committment. Break your weight loss phase into chunks like this, especially if you have a lot of weight to lose. 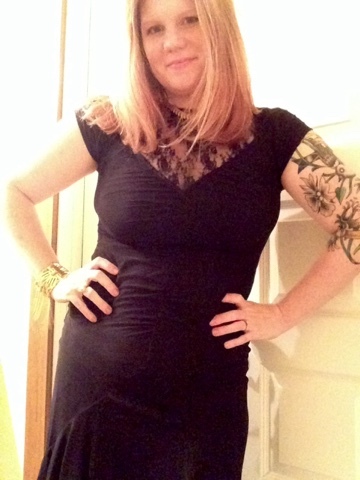 I don't think I could have lost the 25 pounds I have so far by never having a dessert again. AND - find new ways to have the nutrititious rationally portioned food you are eating on a daily basis. Shakeology is a delicious way to get in a protein and super-dense nutrition on a daily basis, for example. Next week I'm planning to share a recipe from another blog I made for a protein rich, crust-less, 21 Day Fix approved CHEESECAKE. Play tricks on your cravings. And here and there, plan a time to CHEAT. And stop feeling guilty about it. (Your meals that is, this philosophy does NOT work nor do I recommend it for most other areas in your life!). And when you think about an unplanned cheat ... look at your results! Find that balance between cutting yourself some slack and cutting loose altogether of what's working for you.